Labels are born of differing viewpoints or unique needs. Rather than pretending those differences don’t exist we should respect and acknowledge them so we can work together to find equitable mutually beneficial solutions. A CLEAR PATH TO SUCCESS. The 2016 presidential election was a cry for help from millions of Americans on both sides of the country’s deepening partisan divide. White voters who lack college degrees flocked to Donald Trump and his pledge to “Make America Great Again,” while many Black and Hispanic voters who turned out for Barack Obama in 2008 and 2012 stayed home last fall rather than support his Democratic heir apparent, Hillary Clinton. The two groups – Trump voters and dissatisfied Democrats – obviously don’t align on many specific policy fights, but they share a general frustration that Washington is not working on issues that impact them directly. And many of these voters are more motivated by pocketbook concerns than the partisan priorities being debated in Congress – Planned Parenthood and climate change, to name a few. One of the reasons for this shared frustration is that the overwhelming majority of Blacks, Hispanics and Whites who did not finish college tend to make less money than Whites who have a four-year degree. This split feeds the growing resentment that many Americans harbor against Wall Street, Hollywood, and Washington. It’s a driving force behind the economic nationalism in both parties. In 2016, the Brookings Institute studied Census data to analyze the poverty rate in each congressional district from 2010-2014. They pinpointed the exact percentage of people in all 435 House districts who live below the poverty line. We matched the 100 poorest districts with the lawmakers who represent them. In total, 73 of those districts are represented by a member of the Congressional Black Caucus (CBC), the Congressional Hispanic Caucus (CHC) or a conservative Republican. Despite their ideological differences, members of the CBC, CHC, and conservative Republicans represent districts that need the most help jump-starting their local economies. Most of these districts have at least 20% of their populations living below the federal poverty line and are in desperate need of jobs, transportation infrastructure, outside investment, energy, and economic development. The right major infrastructure bill could help reinvigorate these communities by spurring much-needed investment that will provide jobs and result in future economic growth. Additionally, these constituencies need relief from the high costs of energy, education and health care. Their communities often lack the same banking services or access to the Internet as more affluent cities. Politically, there is an opportunity for the members who represent these districts to coalesce around practical pieces of legislation that will improve their everyday lives. For example, support for an infrastructure package is broad and deep. Recent polls from CNN and Quinnipiac show 79% and 90% of the country, respectively, supports more federal spending on roads, bridges and other infrastructure projects. Support is roughly even among Republicans, Democrats and independents – a rare show of unity in this hyper-partisan era. Ultimately, conservative Republicans and members of the CBC and CHC in these districts all share a common responsibility to deliver a much-needed boost for their constituents. The economic unease in these districts gives the members of Congress who represent them an incentive to work together to provide economic opportunities for the poorest Americans. Members of the Congressional Black Caucus (CBC) represent 32 of the 100 poorest districts. Members of the Congressional Hispanic Caucus (CHC) represent 20 of the poorest 100 districts. 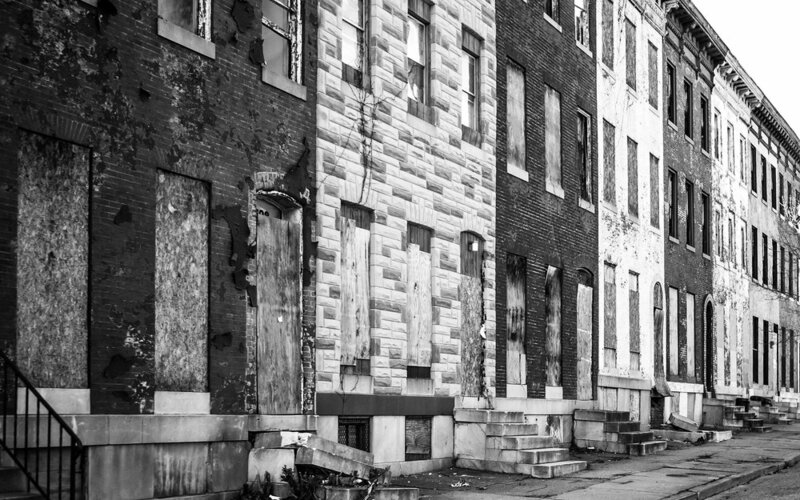 83 of the 100 poorest districts have at least 20% of their populations living below the federal poverty line. Republicans represent many of the districts with the fastest-growing populations of poor residents, including the suburbs of Las Vegas, Atlanta and Phoenix. President Trump won many of the states with the biggest increases in poor residents, including Florida, North Carolina, Ohio, Michigan and Wisconsin.